friDAY, december 8, 2017 is all open mic night! This Friday, the featured readers are... everyone who reads at open mic! It's the PEP All Open Mic Night! Bring your poetry and help us wrap up 2017 in style. Sheila Rosen is a Burnaby poet whose book Silence, the Breaking of It explores Rosen's childhood among the interned Japanese in small town BC; love and loss; and a vision of the larger world that is both spiritual and deeply human. Sheila began writing poetry in her grandmother years. She has been a prize winner with Surrey Writers Festival and with the Burnaby Writers Society (in both poetry and fiction) and hosted the Burnaby Writers’ Society readings for a number of years. She regularly attends writing retreats with poet, Patrick Lane. Besides her book Silence, she has written several poetry chapbooks and has done numerous readings in the Vancouver area. Wendy Donawa, Carla Funk and Rhonda Ganz also read. Patricia Young has published eleven collections of poetry and one of short fiction. Her poems have been widely anthologized and she has received numerous awards for her writing, including the Dorothy Livesay Poetry Prize, the BC Book Prize, the Pat Lowther Memorial Award, a CBC Literary Prize, several National Magazine Awards, Arc’s Poem of the Year Award and the Confederation Poets Prize. Originally produced in a limited edition for the Sylvia Plath: Letter Words and Fragments conference in Belfast, Northern Ireland on 10-11 November 2017, <maniacs.> is a work that replicates and recreates the marginalia found in library copies of Sylvia Plath’s poetry collections. Part drawing and part visual meditation, the work not only explores the aesthetics of Plath’s readership and reception, but also the materiality of print culture and the page as a site of reclamation and creativity. Mark Sampson is the author of five books, including a poetry collection, Weathervane, and most recently a novel, The Slip (Dundurn Press, 2017). He has published many short stories, poems, essays, and book reviews in literary journals across Canada. Born and raised on Prince Edward Island, he currently lives and writes in Toronto. Wendy McGrath’s most recent project is BOX—an adaptation of her eponymous long poem. BOX is a collaboration of jazz, experimental music, and voice with the group “Quarto & Sound.” McGrath has written three novels and two books of poetry. Her most recent poetry collection, A Revision of Forward (NeWest Press 2015), is the culmination of a decade-long collaboration with printmaker Walter Jule. She is working on a manuscript of ekphrastic poems inspired by the bird photographs of Danny Miles (drummer in the band July Talk). 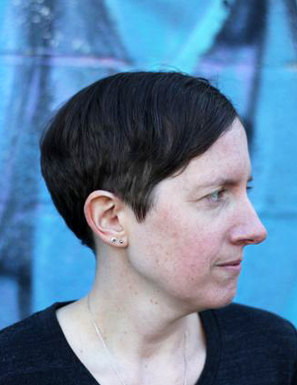 McGrath is also writing the final novel in her “Santa Rosa Trilogy,” a collection of essays, as well as developing another project with Quarto & Sound. 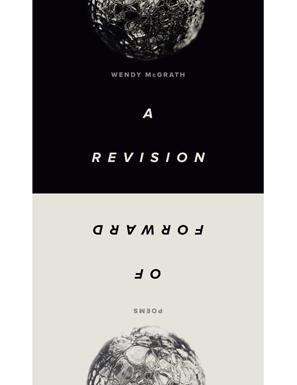 A Revision of Forward (NeWest Press 2015) is the product of a more-than-decade-long improvisational collaboration between Wendy McGrath and printmaker Walter Jule, a series of not-quite-mirror poems whose meanings reflect on each other in kaleidoscopic ways. Whether evoking the vulgar give-and-take of a men’s poker night, fleeting moments of connection between mothers and sons, afternoons spent in overgrown backyard gardens, or wondrous childhood trips to the drive-in, McGrath’s feel for the bygone details of working-class life is uncanny. Kim Trainor's first collection is Karyotype (Brick Books, 2015). Ledi, a book-length narrative poem on an Iron-Age horsewoman of the Siberian steppes, will appear with BookThug in 2018. She lives in Vancouver. Laurie D. Graham grew up in Treaty 6 territory (Sherwood Park, Alberta) and currently lives in Haldimand Treaty territory (Kitchener, Ontario), where she is a poet, an editor, the publisher of Brick magazine, and a member of the advisory board for the University of Regina Press’s Oskana Poetry series. In the poems of Settler Education, Laurie D. Graham explores the Plains Cree uprising at Frog Lake — the death of nine settlers, the hanging of six Cree warriors, the imprisonment of Big Bear, and the opening of the Prairies to unfettered settlement. In ways possible only with such an honest act of imagination, and with language at once terse and capacious, Settler Education reckons with how these pasts repeat and reconstitute themselves in the present.